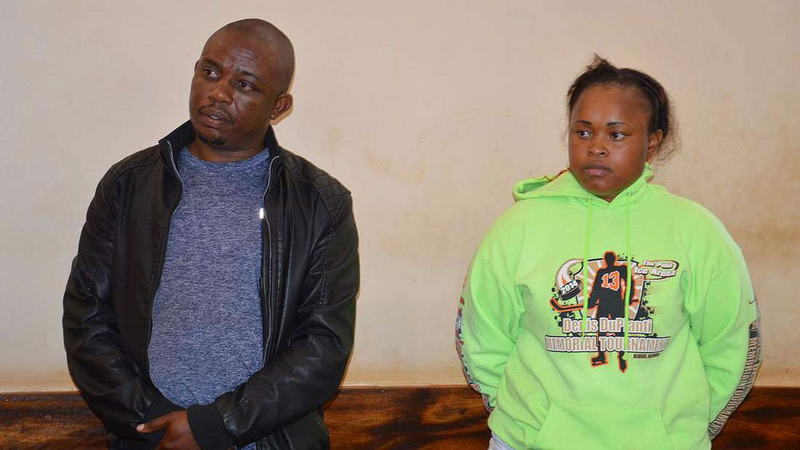 Judy Wangui, who is said to have been in a relationship with a married Mr Joseph Kori before murdering her wife after an argument over the illicit relationship, was a hawker who traded in eggs in Thindigua along Kiambu Road two years earlier. Judy Wangui, who is being suspected of murdering Mary Wambui and is in police custody, attended Gikure Primary School and did not go beyond Standard 8. This revelation is a shocking contradiction from the account of friends who claimed that the lady dropped out of an IT related university course in the second year of study. To supplement her earnings from boiled eggs, sausages and tea at the Thindigua basedn car wash, Judy also cleaned muddy shoes for customers at the car wash at the price of Sh200 per shoe pair. Business flourished and she soon opened a wines and spirits shop. She targeted the motorists she had washed shoes for. Those close to her say her life changed when she met Joseph Kori. She moved from her house in Thindigua where rent costs are in the range of Sh13000 and Sh30000. The apartment she moved to costs Sh60000. It is in this apartment that Mary Wambui was murdered after being hit severally in the head with a pressure cooker and even stabbed. On her Facebook account, she posted photos of her and Mr Joseph Kori in luxury holiday destinations in Malaysia and Singapore. This is a deep contrast from the how the two treated each other like strangers in court a fortnight ago.